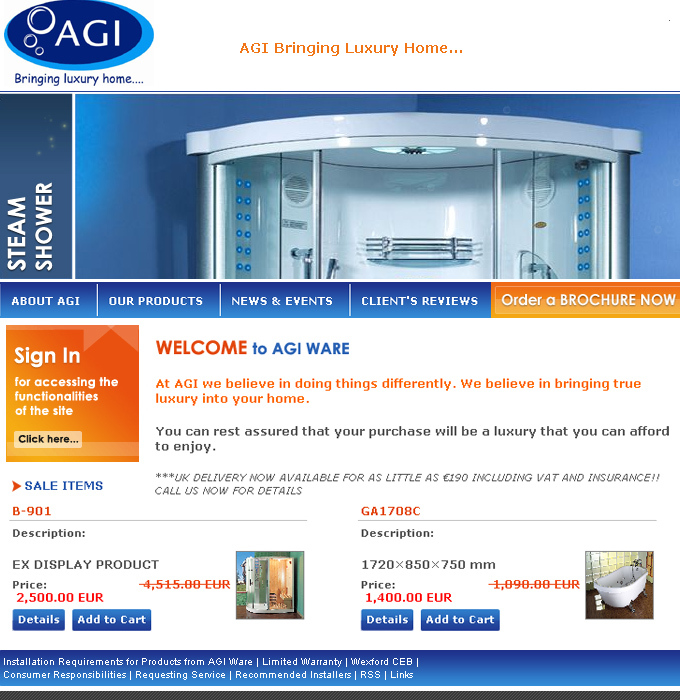 AGI Ware are dedicated to design and product leadership. This goal has been achieved by a total commitment to research and development in all areas of quality, aesthetics and technical excellence. By constantly reviewing, updating, deleting and adding to the product range as the market or fashion dictates, AGI Ware continually provides the most comprehensive range of reliable, quality, fashion coordinated bathroom products in Ireland. Copyright © Dimension Interactive Services (P) Ltd.